The Meetings Show 2014 has opened today (8 July) at Olympia London with 731 hosted buyers, just 19 shy of its 750 target. 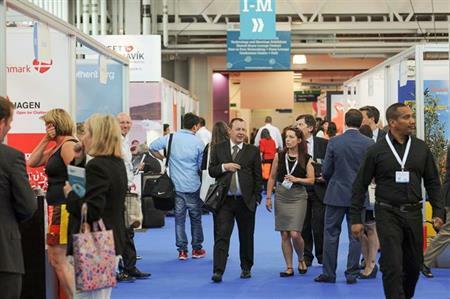 The Meetings Show 2014 also has 382 registered hosted buyers from the UK – an 84% increase on 2013, plus 10,000 pre-scheduled appointments overall and 460 exhibitors. When The Meetings Show launched in 2013 it failed to meet its target of 1,500 hosted buyers and instead attracted 500, despite a £1m investment. For the 2014 show, organisers halved that target to 750 hosted buyers. Steve Knight, The Meetings Show’s event director, said: "Following feedback from last year's show, the two key targets were to increase the number of UK hosted buyers and achieve 10,000 pre-scheduled meetings, which we've exceeded. We're really pleased with these numbers." The Meetings Show’s 2014 programme kicked off yesterday (7 July) with The Association Meetings Conference at The Queen Elizabeth II Conference Centre. The main event runs from 8-10 July at Olympia London.